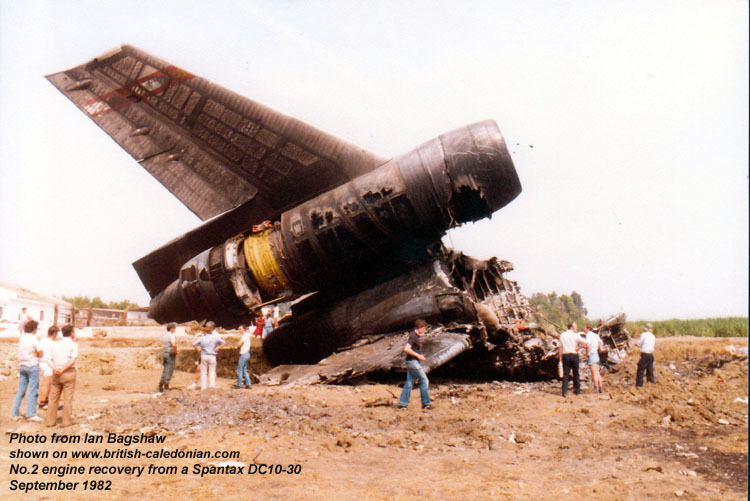 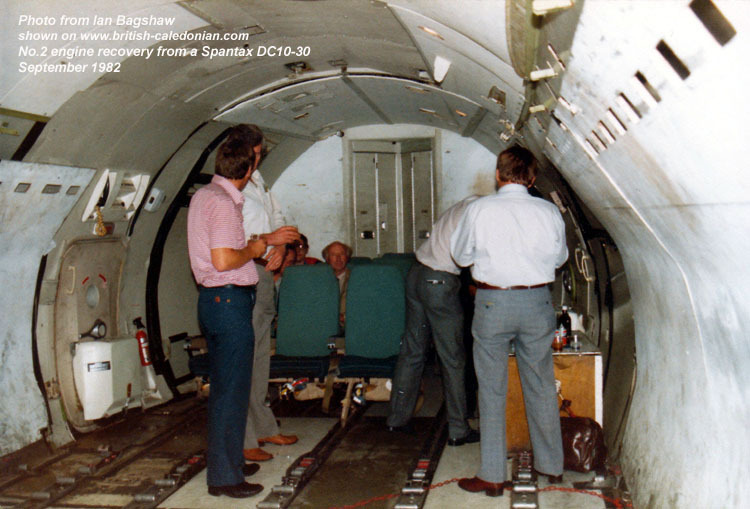 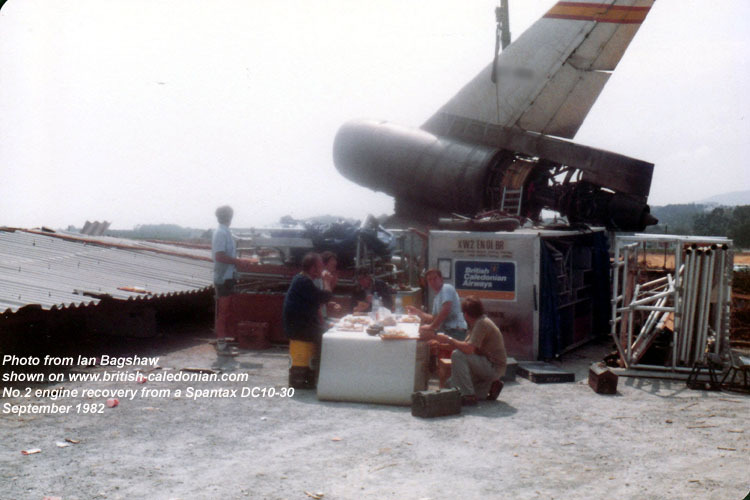 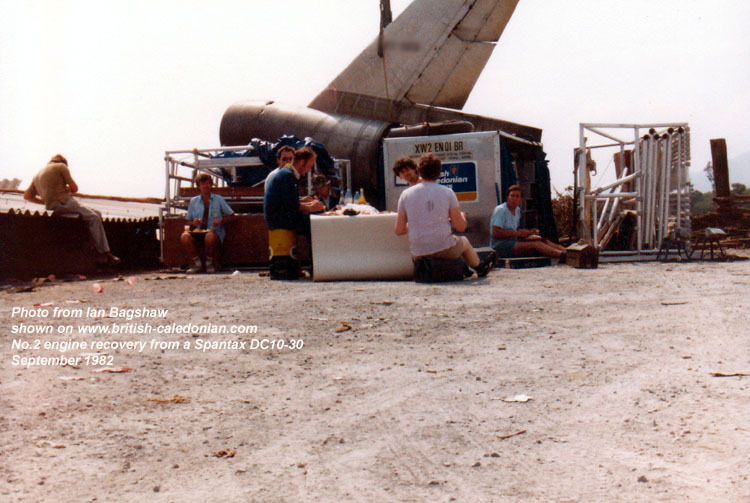 On 13th September 1982 a Spantax DC10 left Madrid Airport on a charter flight to New York, via Malaga. 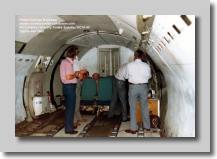 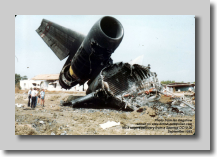 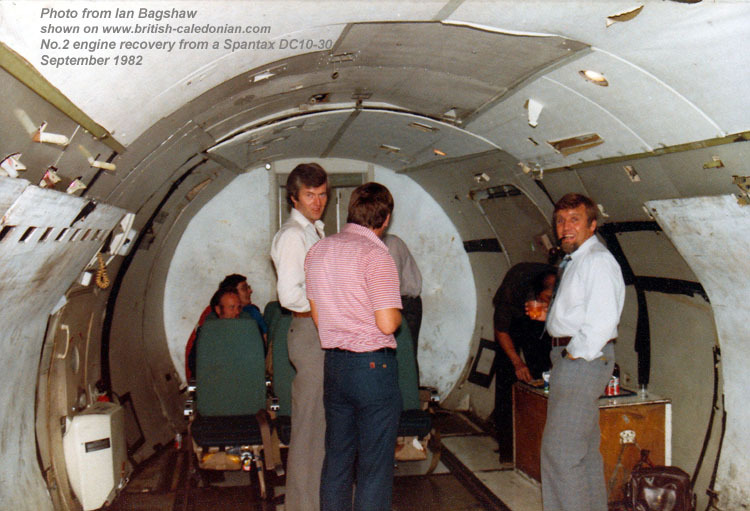 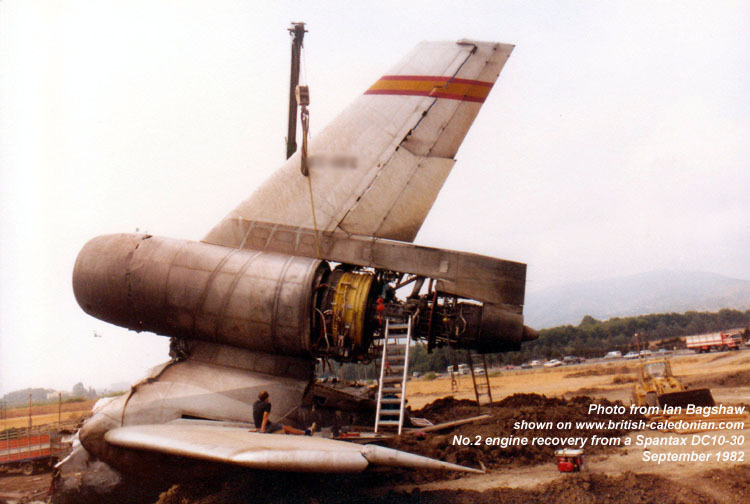 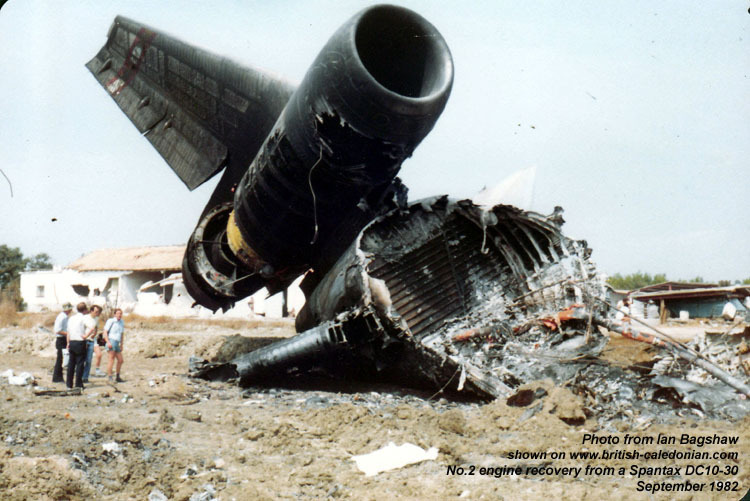 On its take off run from Malaga, the flight crew reported heavy vibration (later it was found that the nose wheel tyres had shredded) and they elected to abort take-off even though VR had been passed and their speed was184 knots. 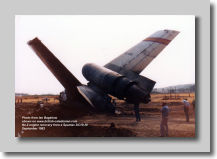 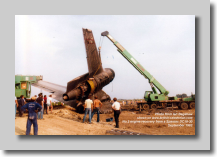 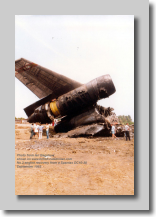 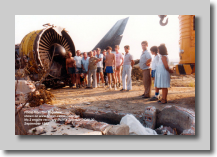 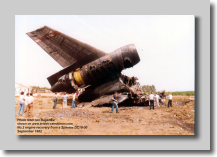 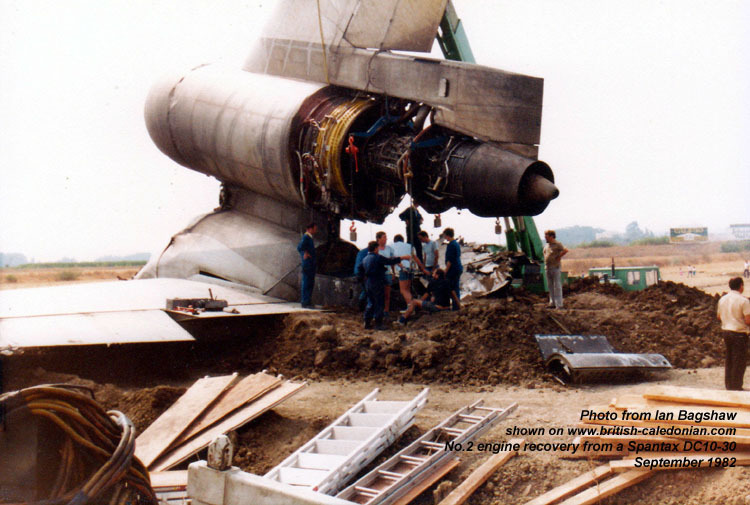 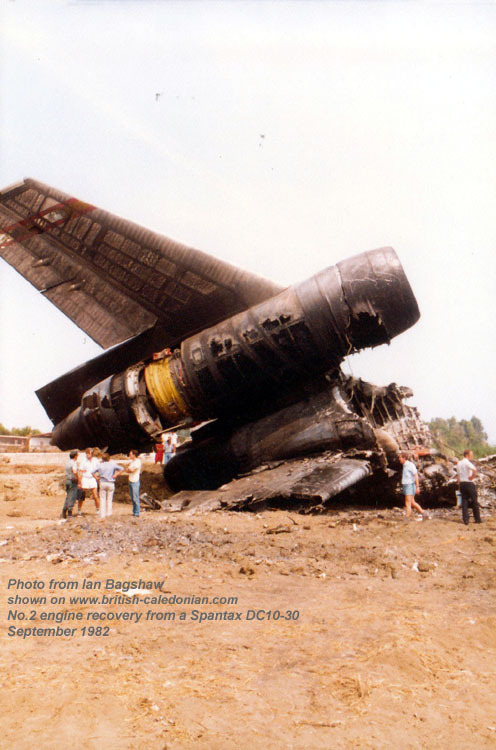 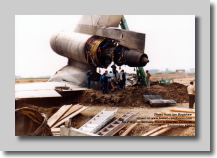 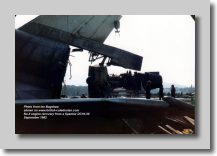 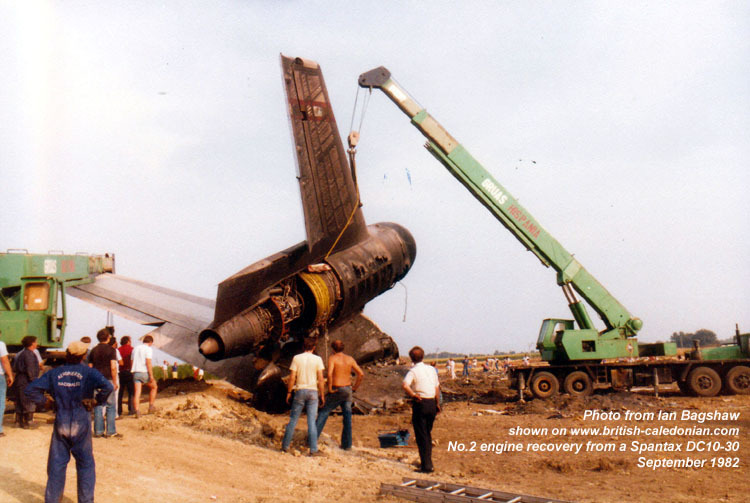 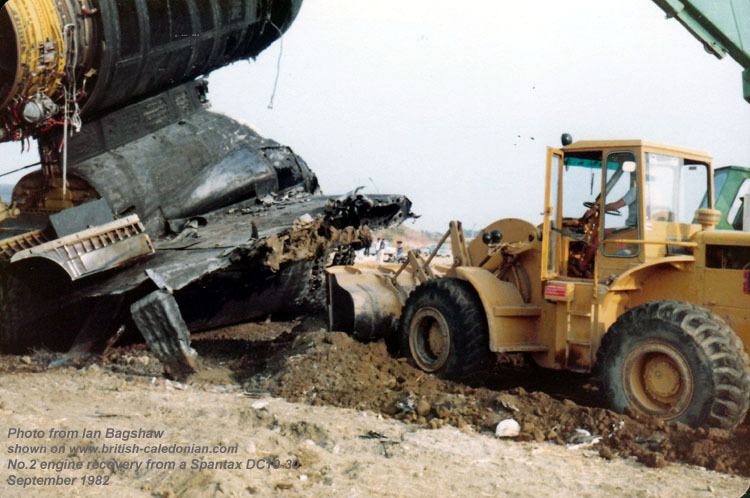 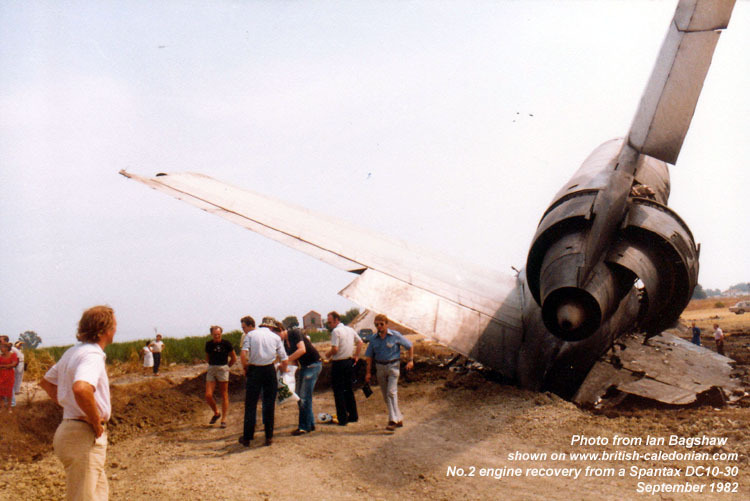 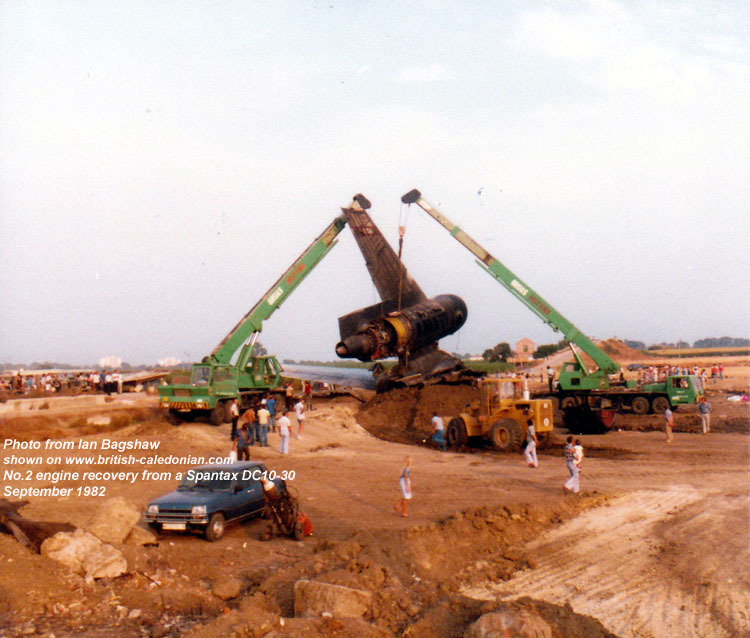 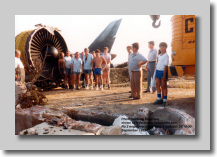 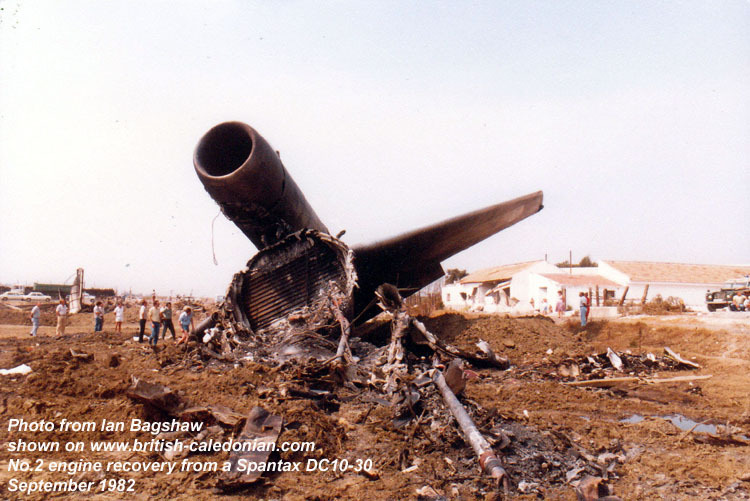 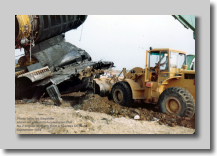 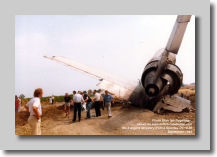 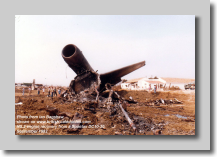 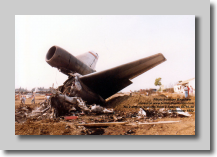 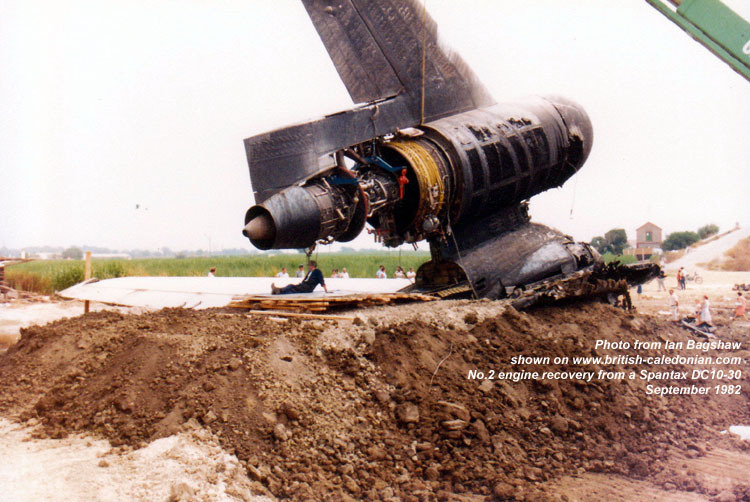 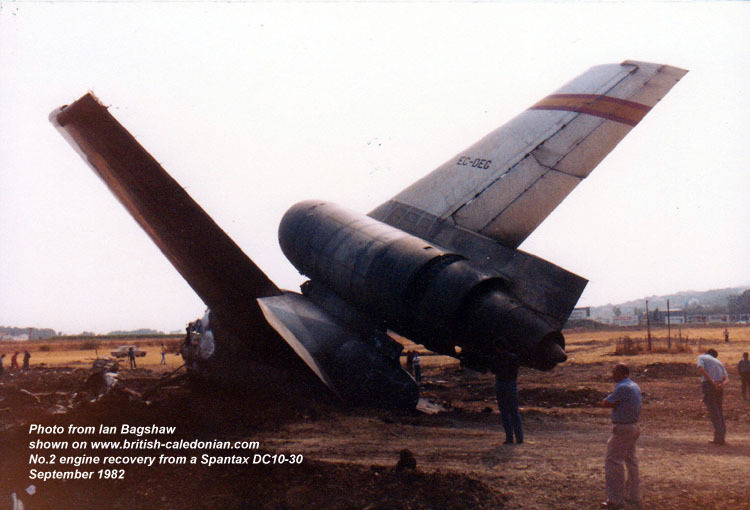 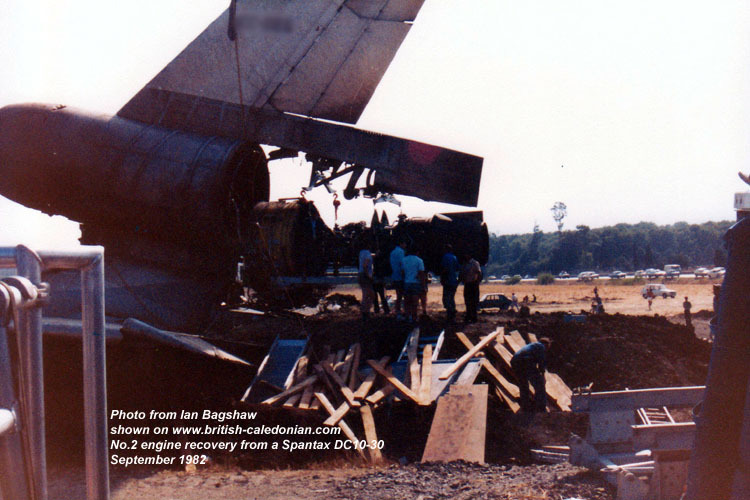 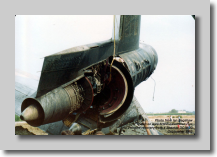 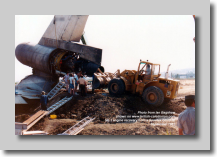 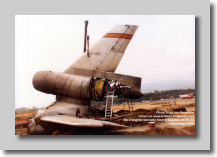 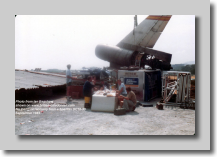 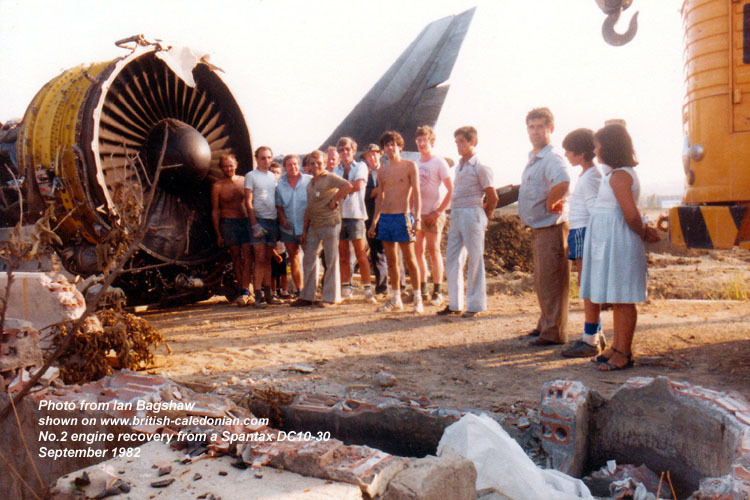 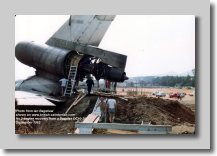 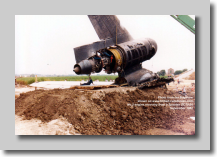 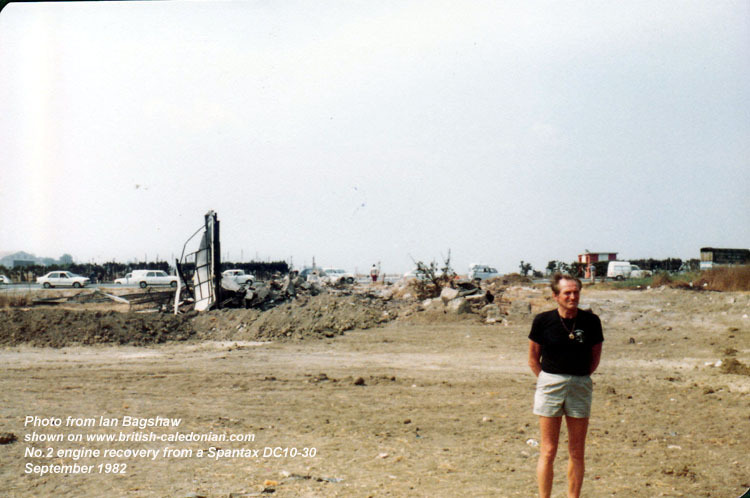 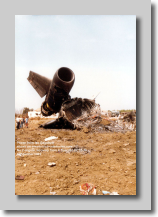 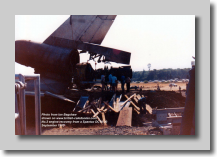 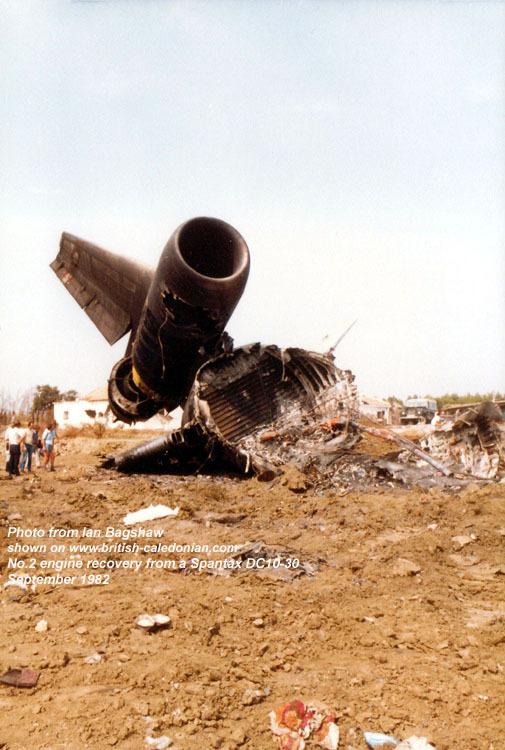 They did not have enough room to safely stop and the DC10 came to rest some 450 metres (1,475 feet) beyond the end of the runway and was, as you can see below, destroyed. 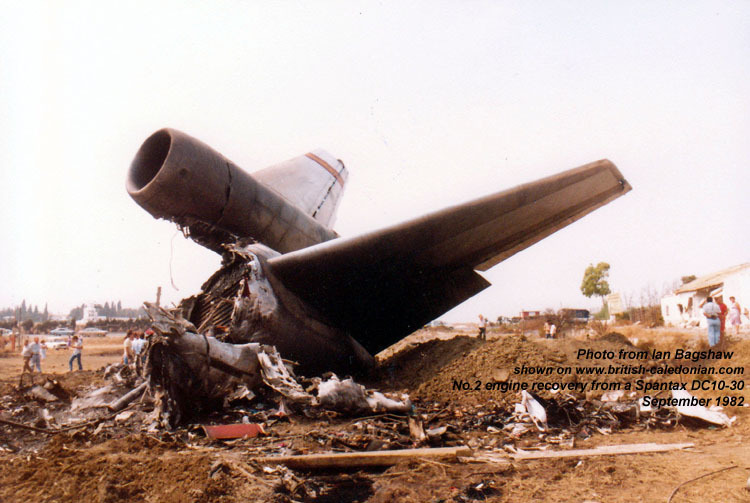 Sadly 50 were lost, but 344 survived the accident. 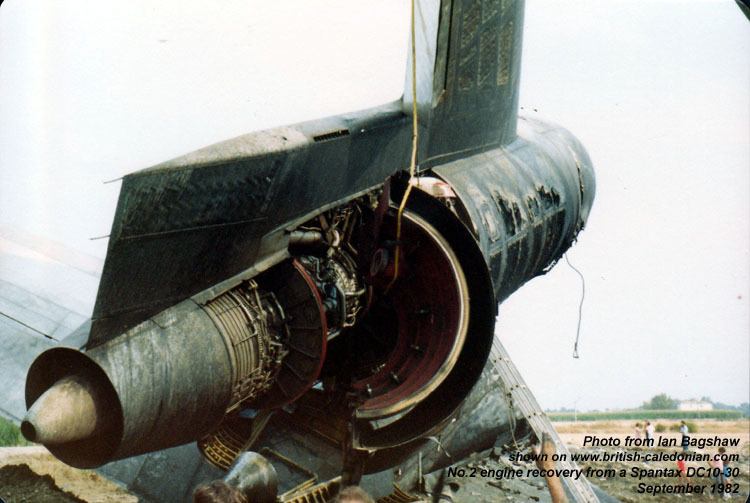 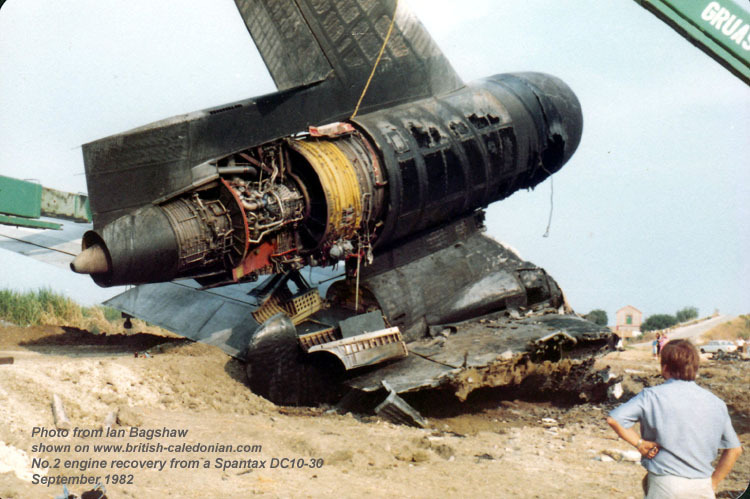 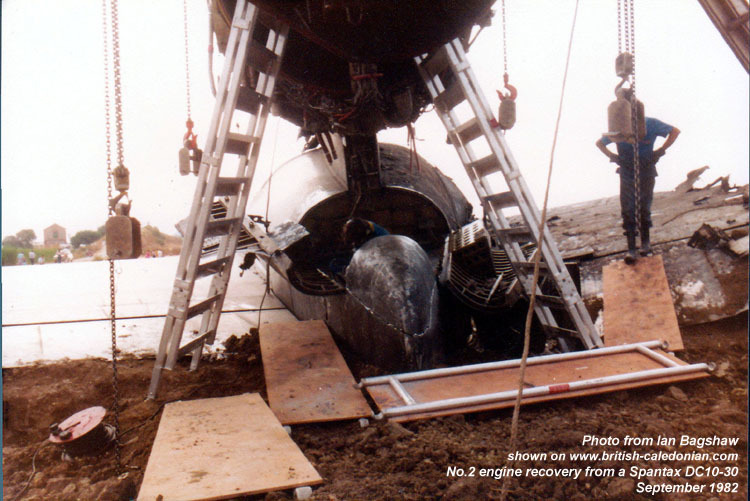 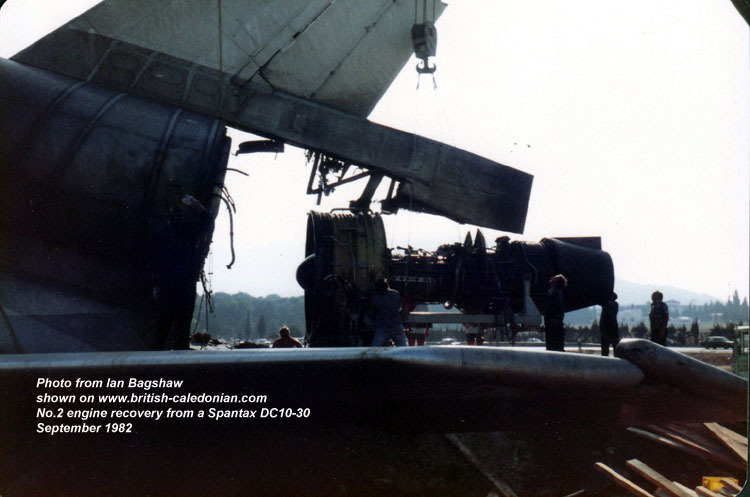 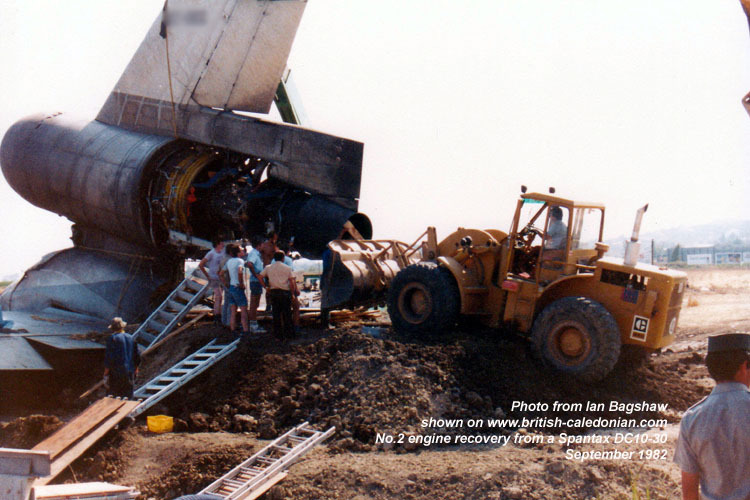 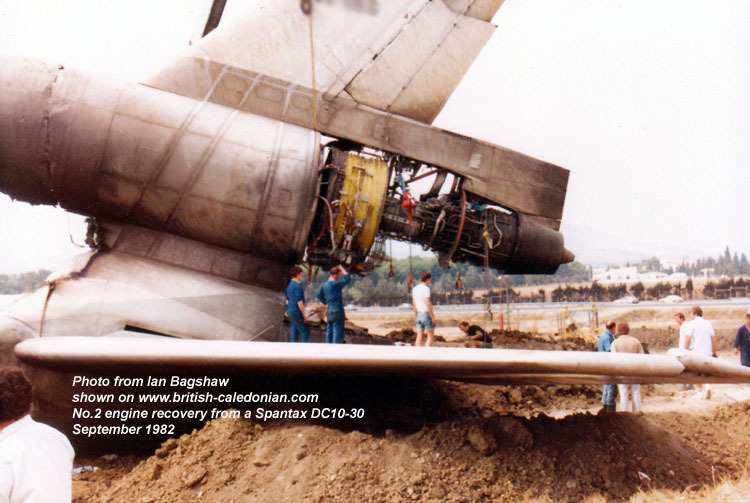 The No.2 engine belonged to Caledonian Airmotive and was to be recovered from the loss; a team of engineers from BCal Engineering were tasked with this difficult job. 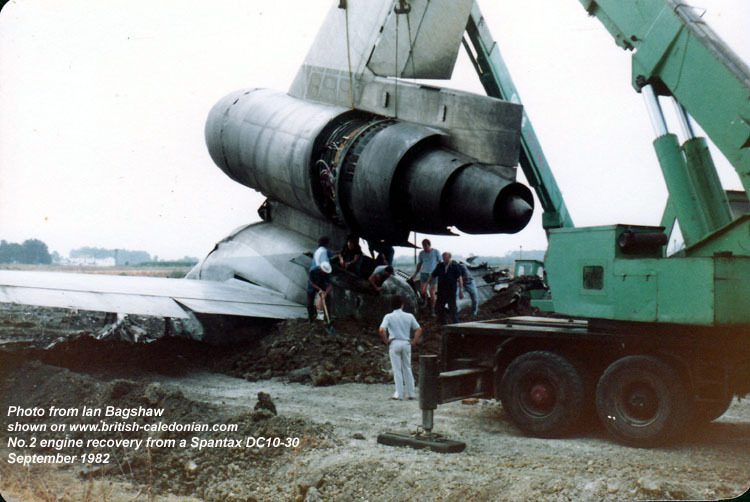 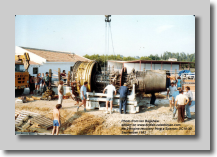 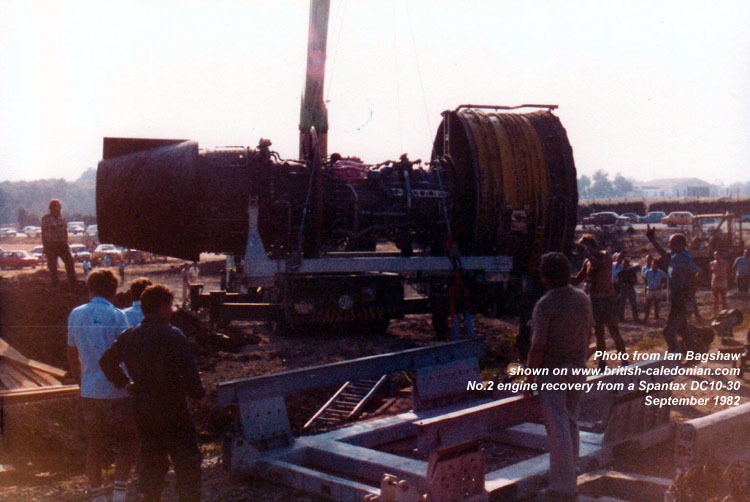 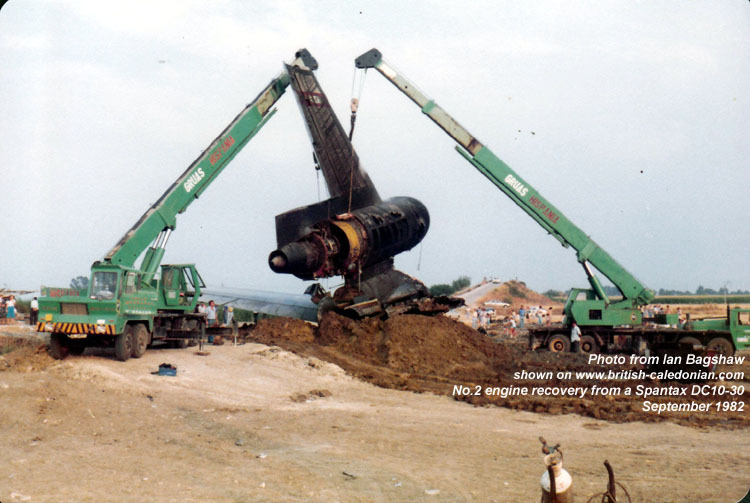 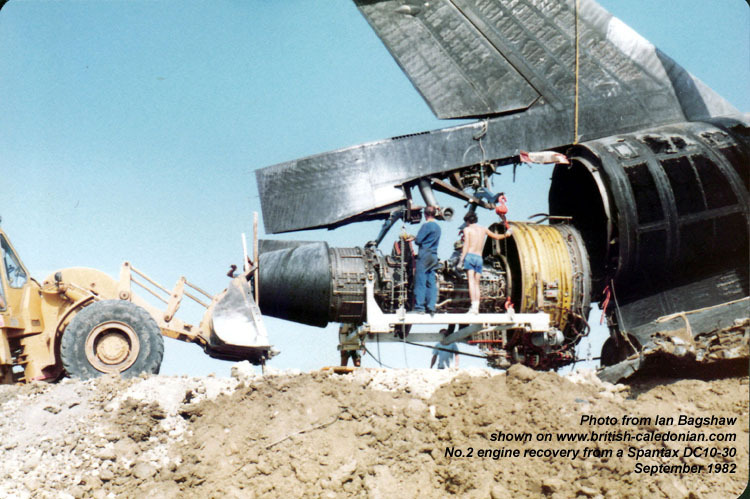 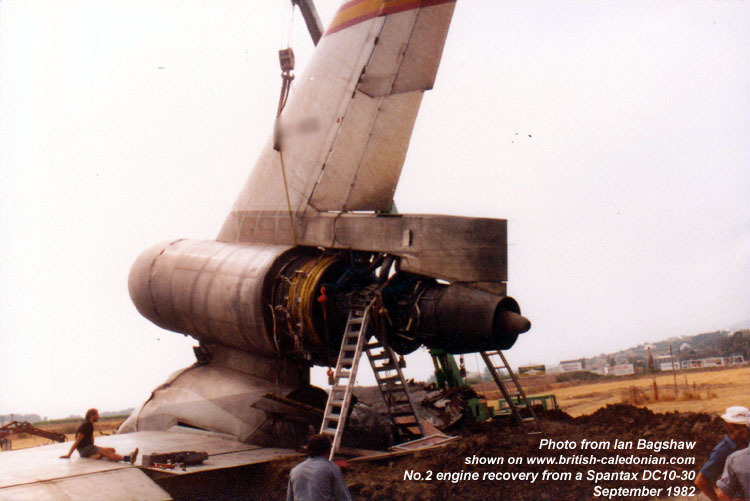 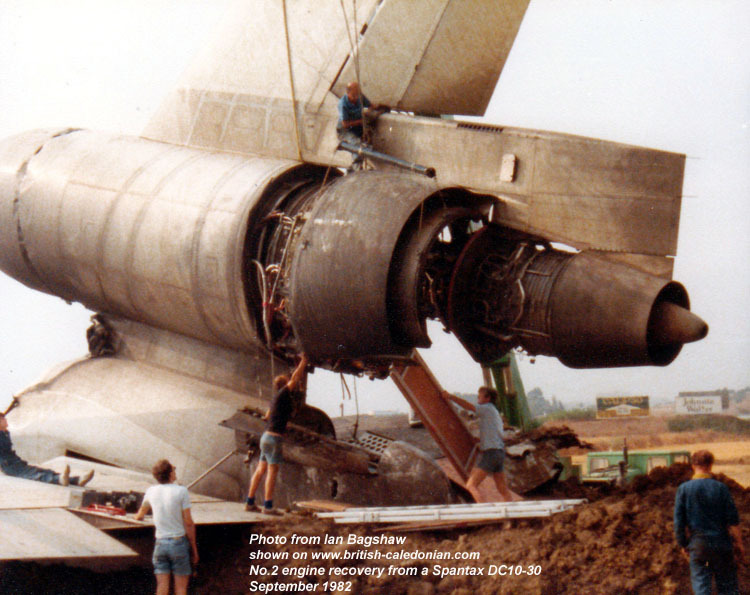 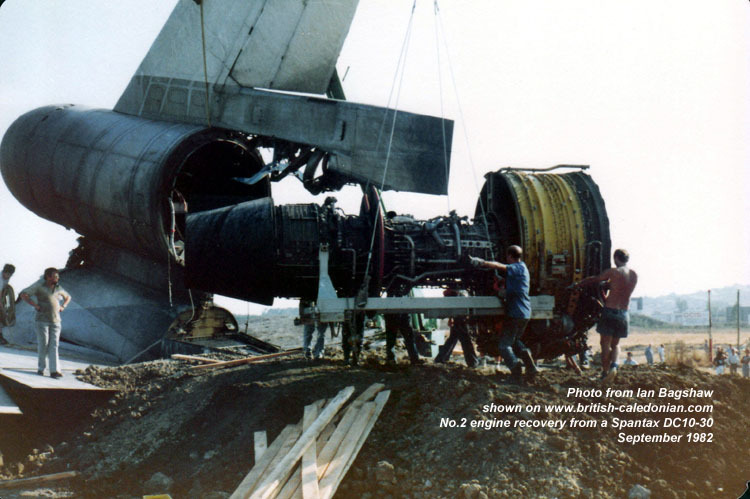 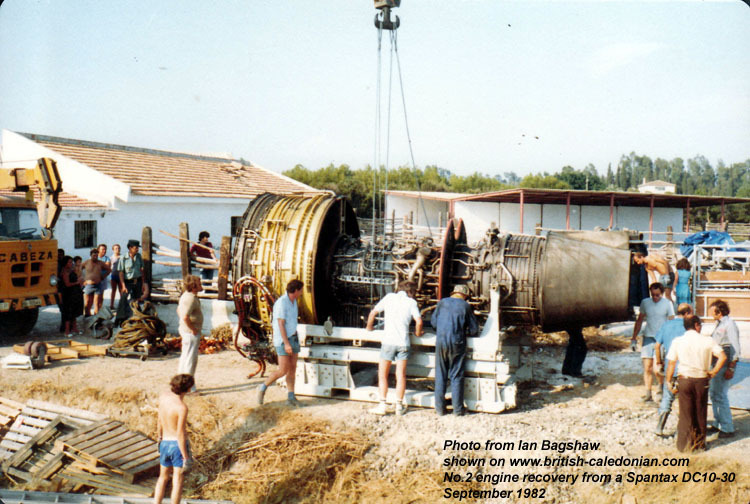 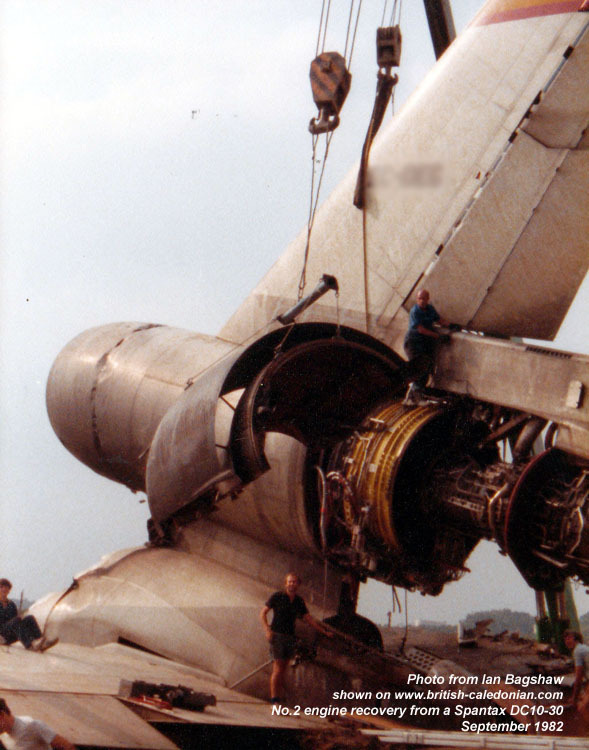 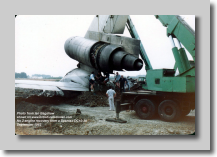 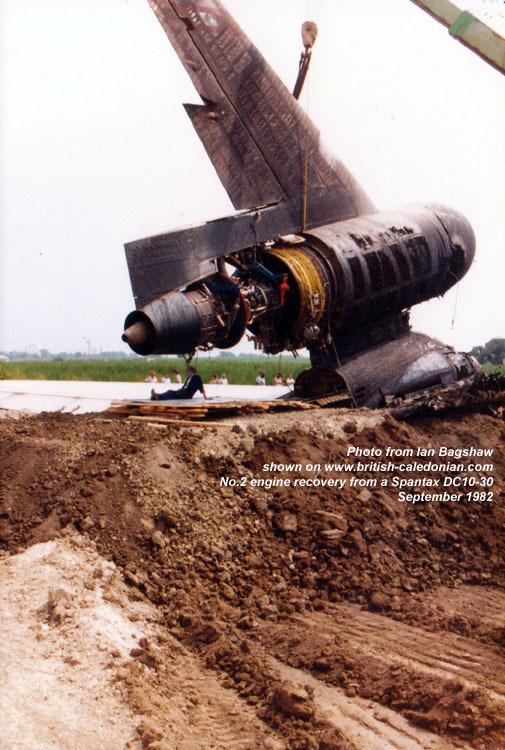 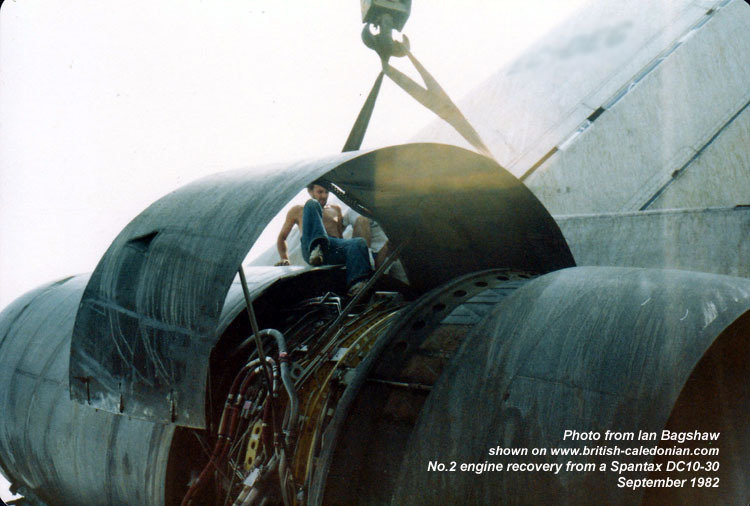 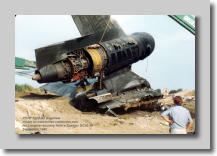 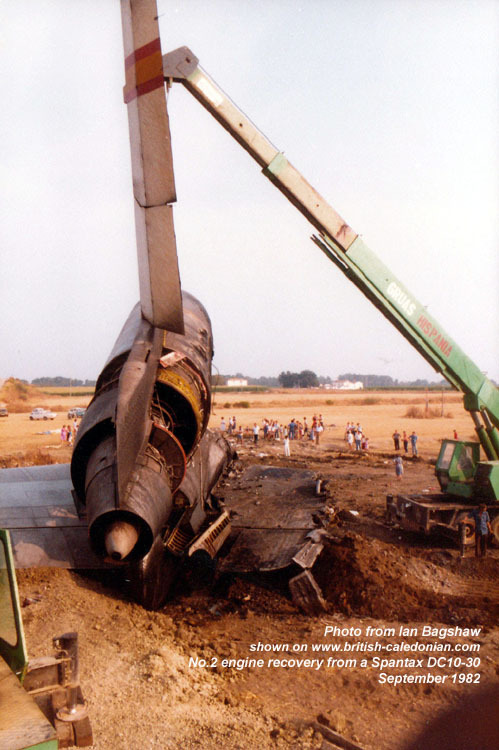 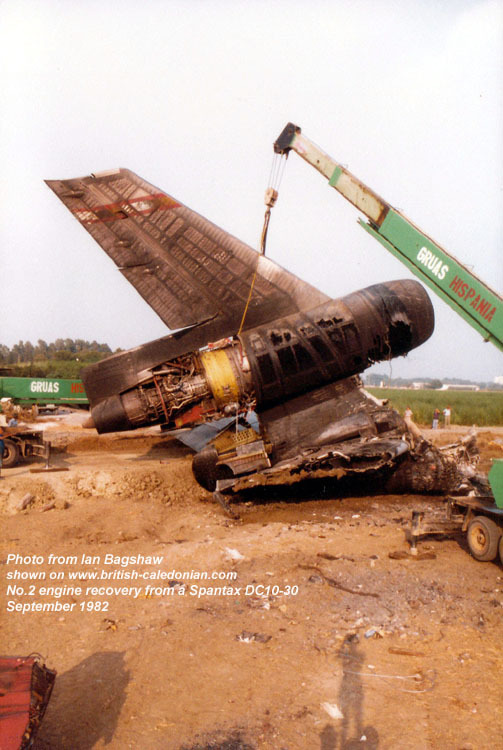 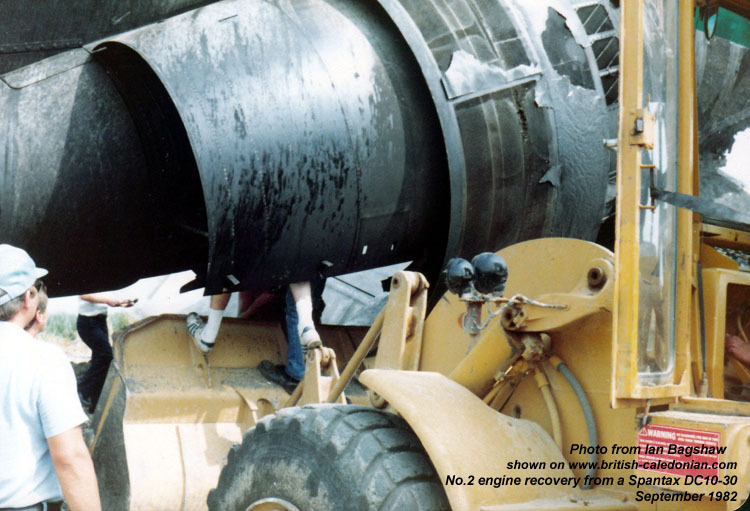 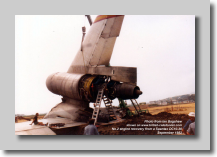 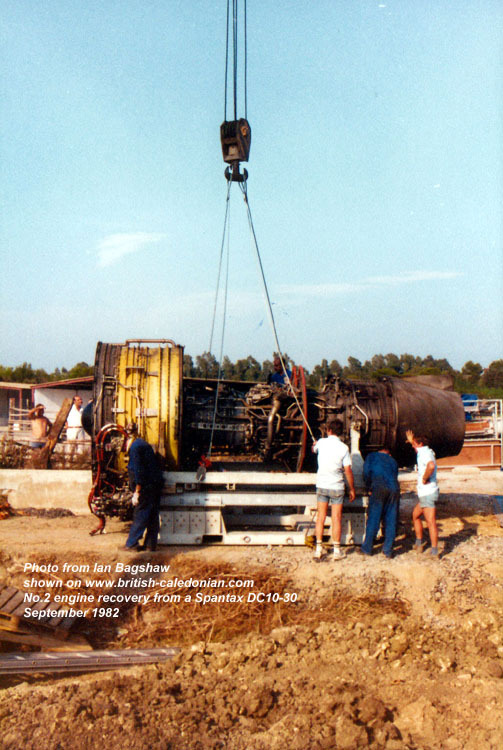 The team was headed by Ian Bagshaw, and they successfully removed the £multi-million engine so that it could be returned to Prestwick for a complete assessment. 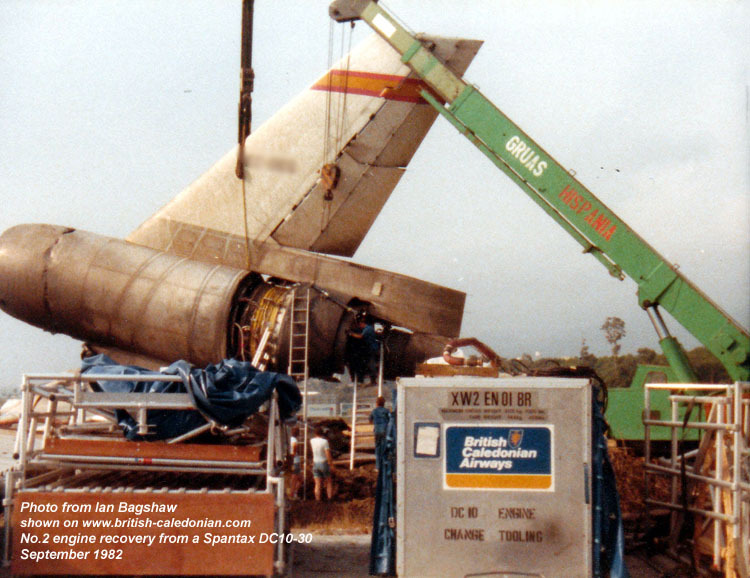 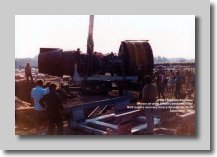 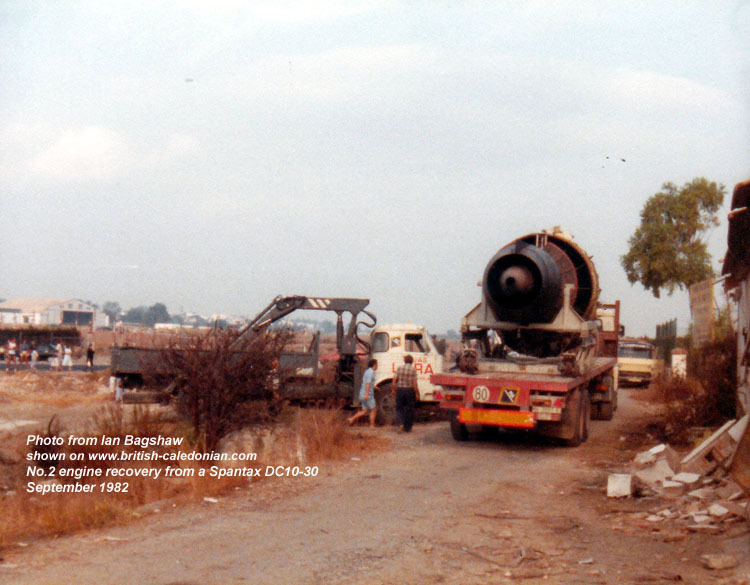 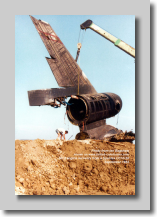 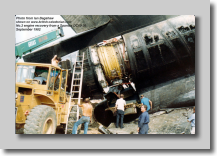 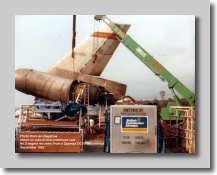 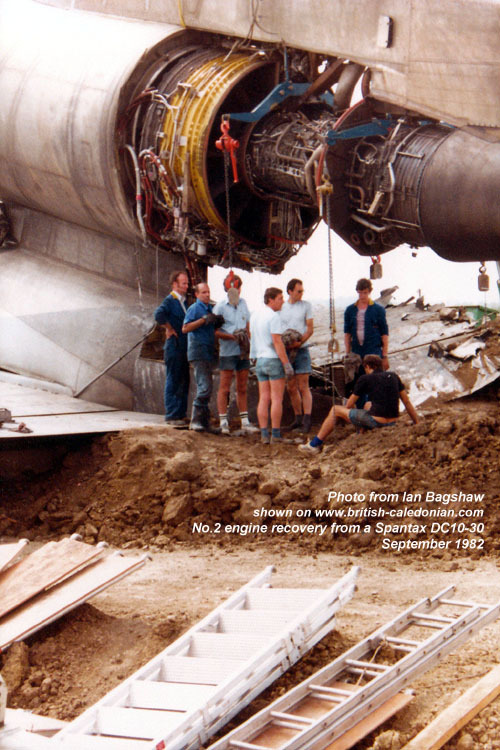 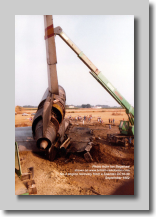 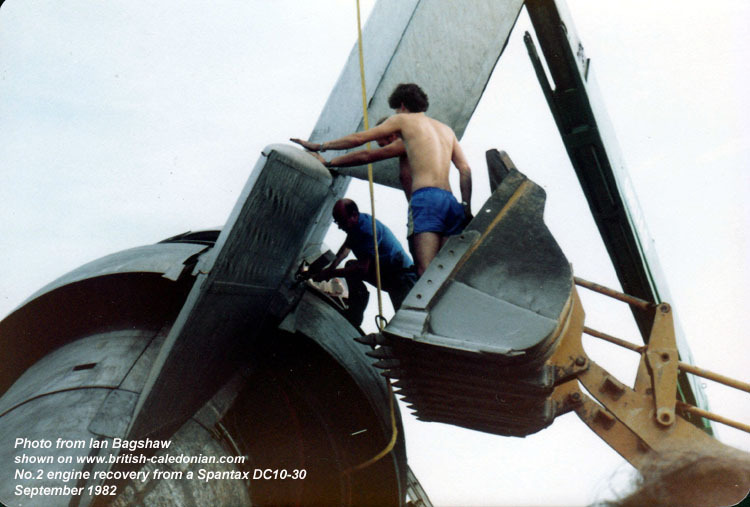 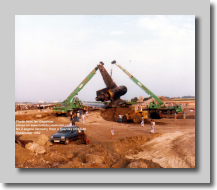 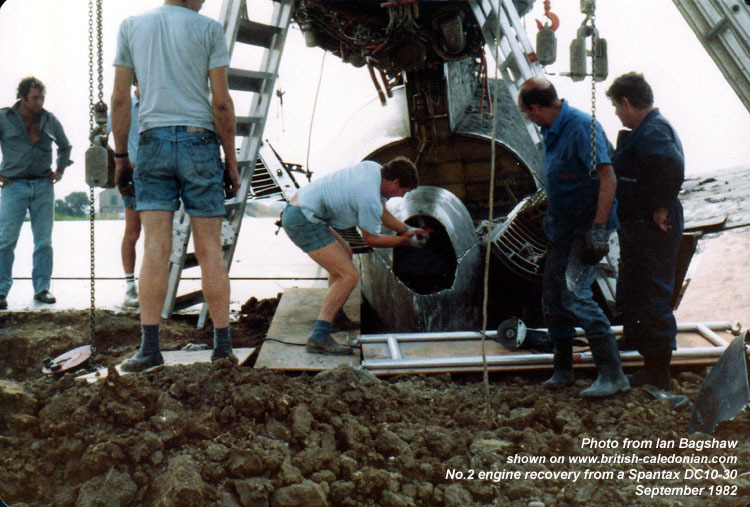 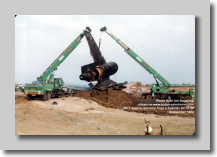 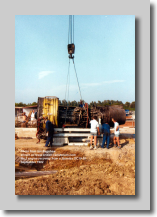 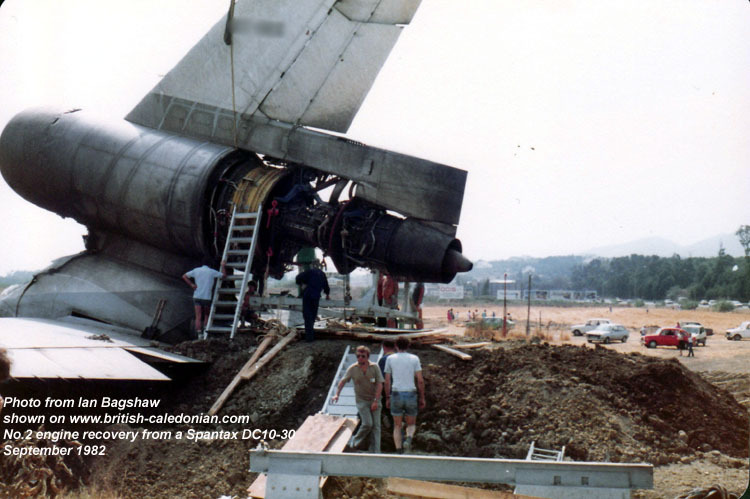 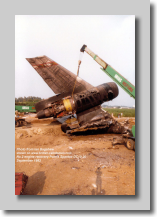 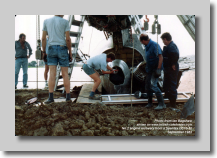 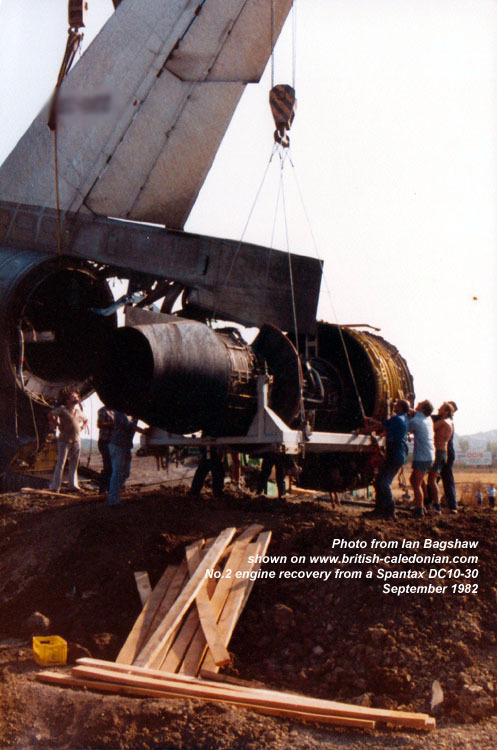 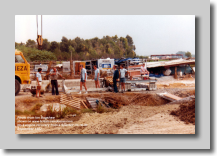 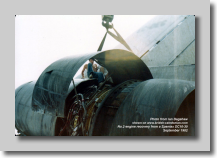 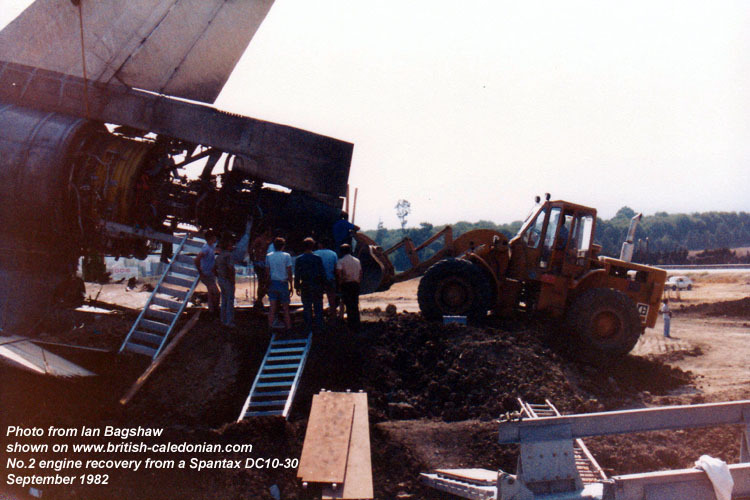 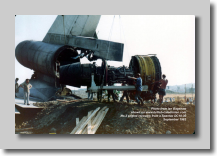 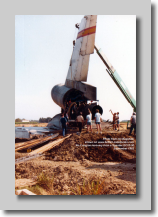 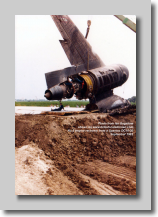 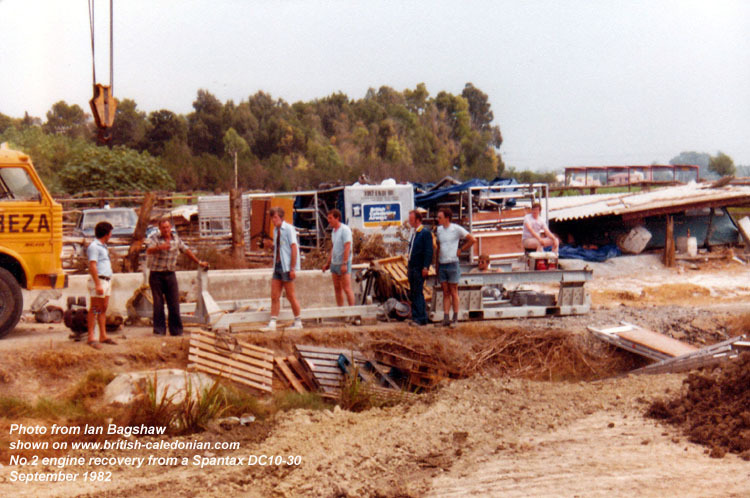 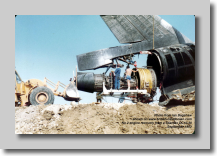 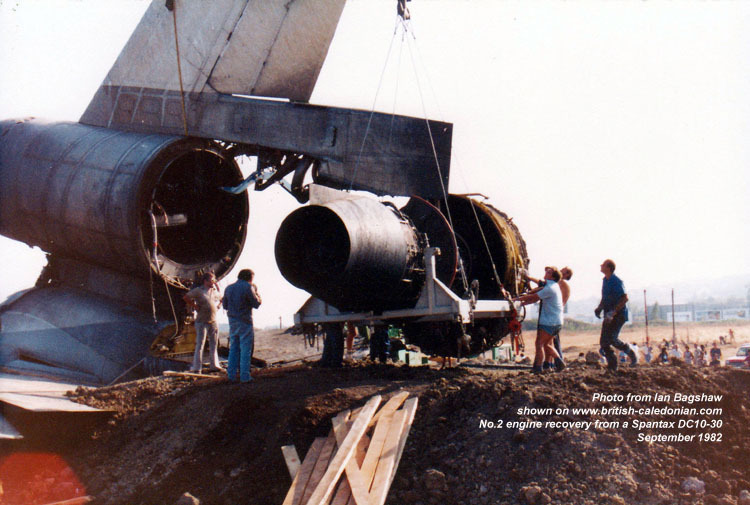 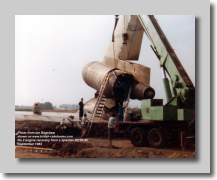 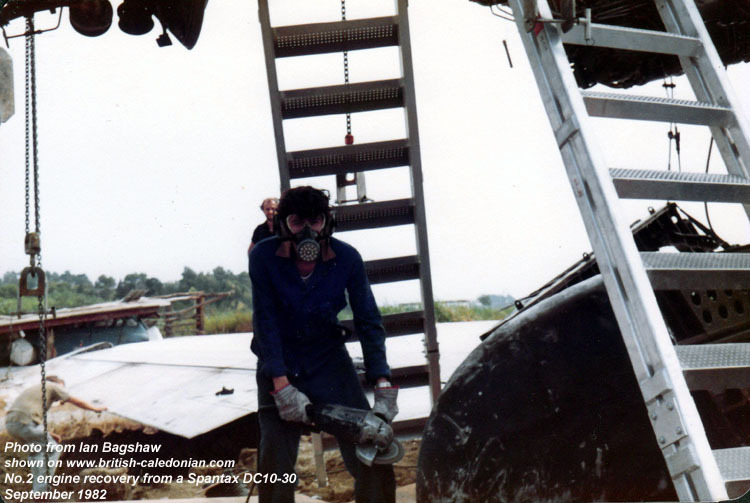 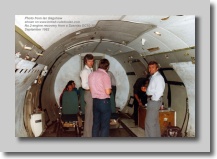 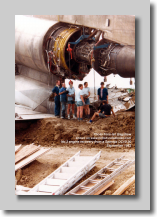 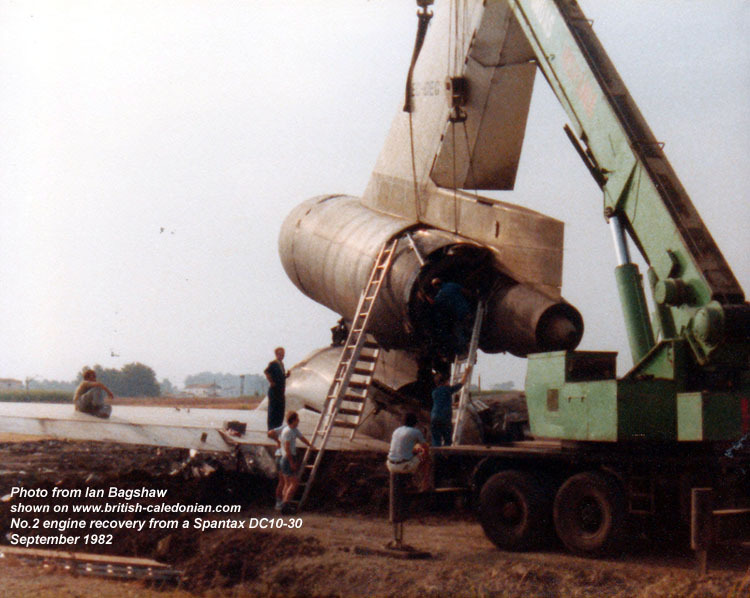 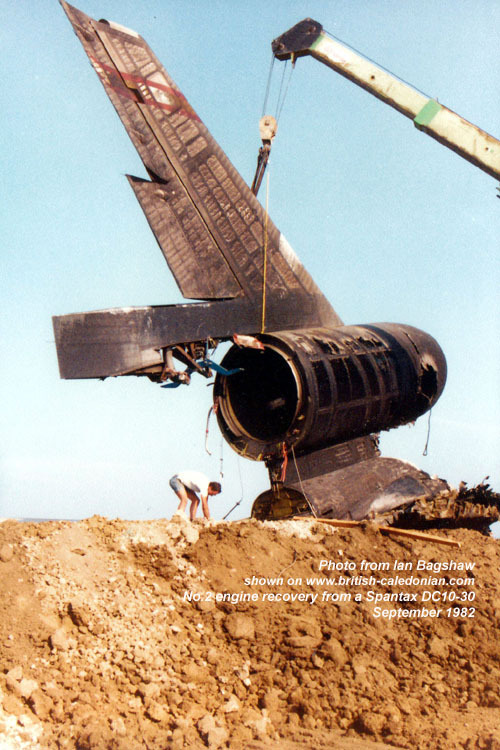 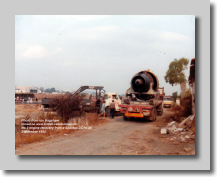 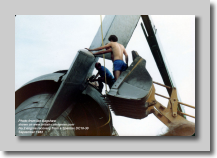 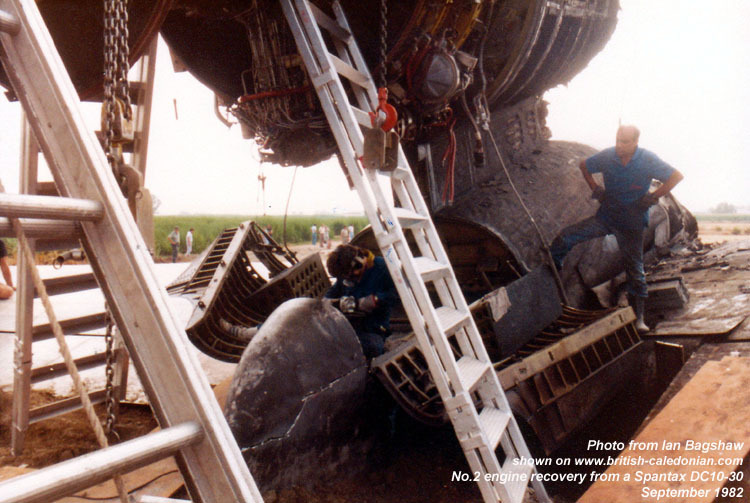 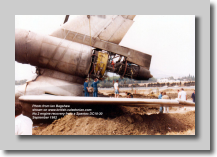 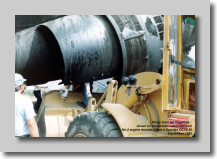 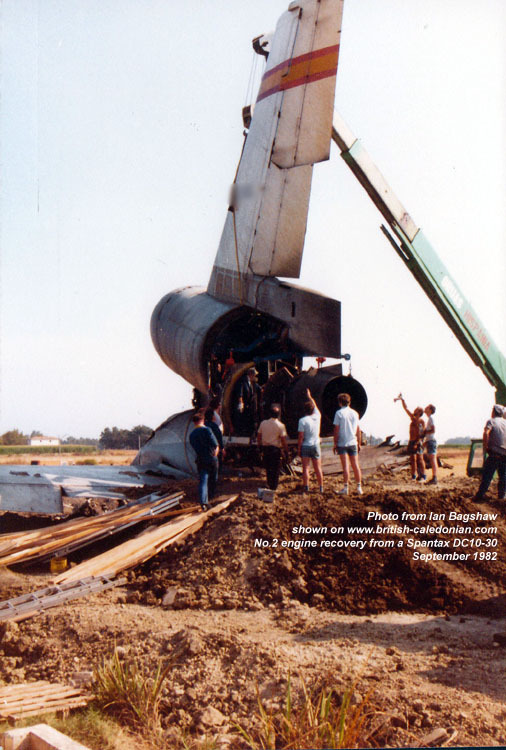 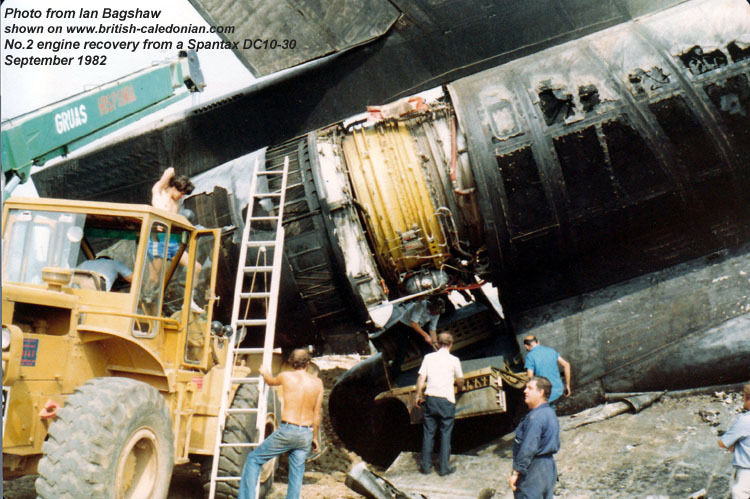 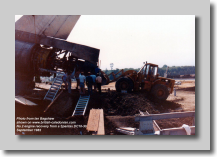 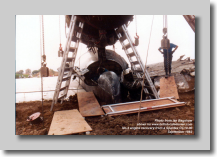 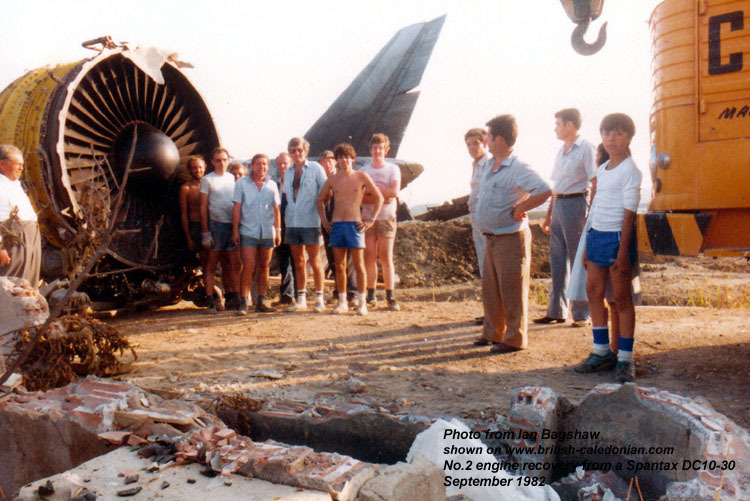 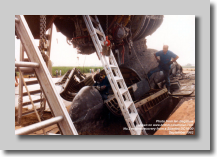 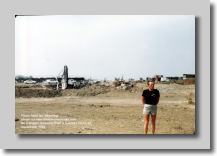 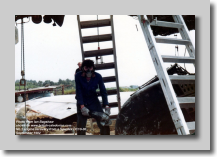 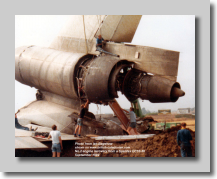 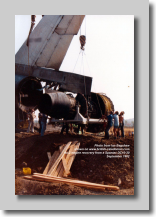 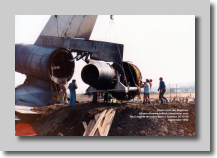 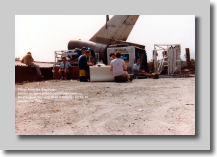 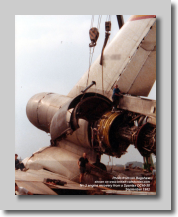 Here is Ian's photo record of the work, in circumstances not covered in the manuals for sure.